What’s that old saying, you can pick your friends but you can’t pick your family. In business, the Corporate 5k picked a great friend in IOA (Insurance Office of America). 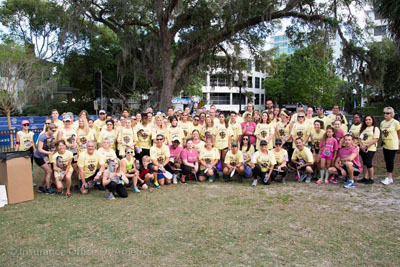 IOA has supported the event and the health of the Central Florida Community since the very first Corporate 5k in 1995. We spoke with Debbie Gross (DG), the woman behind the scenes at IOA. She encourages, recruits and plans the details, always with charity and the community front and center. TS: What is your title at IOA and how long have you been involved with the IOA Corporate 5k? DG: I am the Events & Charity Coordinator at IOA. I have been involved with the planning of the IOA Corporate 5k since 2000 when our then Team Captain, Tom Scalise asked me to assist him. 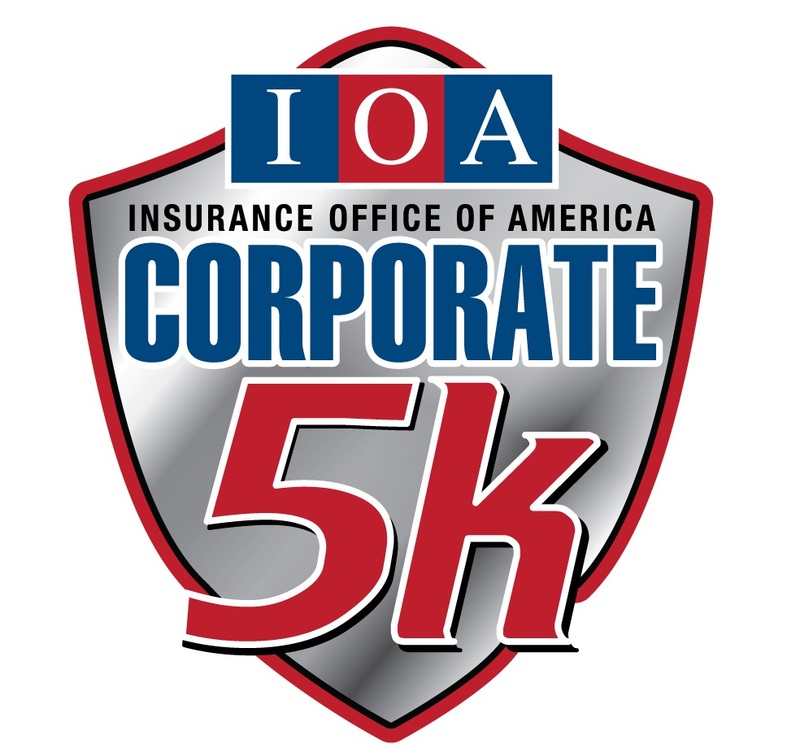 TS: What is your goal for participation and fundraising each year (in regards to the IOA Corporate 5k)? DG: I wouldn’t say that we actually set a goal for participation or for the fundraising although we do like to have at least 200+ participants. We encourage our employees to participate because we know what a great event the Corporate 5k is for everyone involved. We make the Corporate 5k our biggest company event of the year. We provide transportation to and from the event for those who don’t want to fight the traffic on I-4 . We also provide a catered meal and beverages before the race and of course desserts following the race. IOA also pays the registration fee for all employees and their immediate family members. It really is a great family outing for the company. TS: Is there a ‘right’ time to start asking employees to get involved? DG: I usually wait until after the Team Captains meeting in January to begin sending communications concerning the Corporate 5k. At that time, as you know it’s the beginning of the New Year and people are ready to get “FIT” and ready for the IOA Corporate 5k! TS: Can you share any details on how you get employees fired up about being involved? DG: Mark Manfre is a one of our greatest Corporate 5k motivators. Mark organizes walking teams to train for the event. The groups get together on their lunch break and walk around the apartment complex near our office. He encourages us with emails during the months leading up to the race. TS: You are amazing at theming and connecting the theme to a charity. Can you share what you are planning for a theme this year? TS: I think you raised over $2,300 last year, meaning you were responsible for 1/5 of all the giving. Any ideas on how we can motivate each company to raise money and/or food? DB: Once again, we will be making Second Harvest Food Bank our March IOA Jean Outreach recipient. As you know, the IOA Jeans Outreach program is a such a simple way to raise money to help those in need. For a $20.00 donation our employees are given the opportunity to wear jeans during the month . As you mentioned last year we raised $2,300.00 for SHFB. I’m hoping that number will be higher this year. Just a side note, in 2017 with our IOA Jean Outreach program we were able to donate over $34,000.00 to nonprofits all across the country. The IOA Jeans Outreach program is really a Win-Win for everyone involved. I hope other Corporate 5k Companies will come up with similar ways to raise money for Second Harvest Food Bank. In the month leading up to the 5k we will also host SHFB Food Drive raffles where employees bring in a nonperishable food drive items. They then receive a raffle ticket for each item they donate good for a chance to win a $50.00 Gift Card.